Falls within hospital are a major cause of morbidity and may even lead to mortality. Approximately 240,000 falls are recorded within the National Health Service (NHS) every year in England and Wales [1Falls and Fragility Fracture Audit Programme (FFFAP) National Audit of Inpatient Falls 2015 2015. Available from: https://www.rcplondon.ac.uk/projects/outputs/naif-audit-report-2015 Last Accessed 18th November 2017] and this costs the NHS approximately £2.3 billion per year [2National Institute of Clinical Excellence. Falls in older people: assessing risk and prevention Clinical guideline [CG161] 2013. Available from: https://www.nice.org.uk/guidance/cg161]. As 152,000 falls were registered in 2007, this is an increasing problem within an ageing population [3National Patient Safety Agency. Slips, trips and falls in hospitals 2007. Available from: www.npsa.nhs.uk]. This is being addressed by the use of the National Falls Audit, updated guidelines from the National Institute for Health and Care Excellence (NICE) in 2013, and increasing education and awareness of falls prevention. Falls can also lead to an “inpatient” Fracture Neck of Femur (FNOF). According to the National Hip Fracture Database (NHFD), 2,511 (3.9% of all hip fractures) patients in 2015 and 2,659 patients (4.1%) in 2016 were treated for an inpatient fracture, meaning that this is an increasing problem [4National Hip Fracture Database Report 2016. Available from: https://rcplondon.ac.uk/projects/outputs/national- hip-fracture-database-annual-report-2016, 5National Hip Fracture Database Report 2017. Available from: https://nhfd.co.uk/files/2017ReportFiles/NHFD-AnnualReport2017.pdf]. Other research performed in individual hospital trusts report that approximately 5.5 - 6.1% of hip fractures occur following a fall within a hospital environment [6Green CM, Zeiton M, Foulkes K, Barrie J. The inpatient fracture neck of femur: An important subgroup of patients. Injury 2014; 45(12): 1946-9. [http://dx.doi.org/10.1016/j.injury.2014.09.022] [PMID: 25458059] -8Mohamed M, Patel D, Zhao S, Ballal MS, Scott S. Increased mortality amongst inpatients sustaining neck of femur fractures as in-patients in a Trauma centre. Open Orthop J 2015; 9(9): 412-7. [http://dx.doi.org/10.2174/1874325001509010412] [PMID: 26401165] ]. Although the higher incidence of fracture in these studies can be explained by characteristics of the trusts (as two units included injuries from rehabilitation centres within their trusts), another reason may be the reliability of NHFD data. In one study, three of 40 patients who suffered a fracture within a hospital environment had been listed as suffering the injury within their “own home” according to the data submitted to the NHFD [6Green CM, Zeiton M, Foulkes K, Barrie J. The inpatient fracture neck of femur: An important subgroup of patients. Injury 2014; 45(12): 1946-9. [http://dx.doi.org/10.1016/j.injury.2014.09.022] [PMID: 25458059] ]. Protocols for the management of patients admitted from the community with an acute FNOF are well established following the publication of the Blue Book and BOAST guidelines, the use of the Best Practice Tariff (BPT) and the development of the National Hip Fracture Database (NHFD) [4National Hip Fracture Database Report 2016. Available from: https://rcplondon.ac.uk/projects/outputs/national- hip-fracture-database-annual-report-2016, 5National Hip Fracture Database Report 2017. Available from: https://nhfd.co.uk/files/2017ReportFiles/NHFD-AnnualReport2017.pdf, 9British Orthopaedic Association and British Geriatrics Society. The care of patients with fragility fractures (“Blue Book”) 2007. Available from: http://www.bgs.org.uk/pdf_cms/pubs/Blue%20Book%20on%20fragility%20fracture%20care.pdf, 10British Orthopaedic Association. Standards for Trauma: Patients sustaining a fragility hip fracture (BOAST 1, version 2) 2012. Available from: https://www.boa.ac.uk/wp-content/uploads/2014/12/BOAST-1.pdf]. NICE guidelines, last updated in 2017, also provide recommendations for multidisciplinary management of patients suffering this injury [11NICE Guidelines for the Care of Fracture Neck of Femur (CG124) National Institute of Clinical Excellence, 2011 (Updated April 2017) 2011. Available from: https://www.nice.org.uk/guidance/cg124]. Standard care for a patient with a suspected FNOF now includes multidisciplinary team care, adequate analgesia and hydration, urgent Xrays and transfer to the orthopaedic unit, surgery within 36 hours, and orthogeriatrician review within 72 hours. MRI or CT scans are required in symptomatic patients within 24 hours of injury if Xrays fail to diagnose this injury. Mental state examinations, falls assessments and bone health assessments also form part of this pathway [11NICE Guidelines for the Care of Fracture Neck of Femur (CG124) National Institute of Clinical Excellence, 2011 (Updated April 2017) 2011. Available from: https://www.nice.org.uk/guidance/cg124]. However, although these parameters are applied when treating the “inpatient” FNOF, there is no set protocol for this group of patients. There is no guidance as to whether the time of fall or the time at which the injury is diagnosed should be when the clock is started in order to ensure prompt treatment, nor are there agreed protocols for the immediate post-falls care of these patients or incident reporting [12Green CM, Zeiton M, Foulkes K, Barrie J. The inpatient fracture neck of femur: Severe injuries which need to be taken seriously. J Patient Saf 2015. [http://dx.doi.org/10.1097/PTS.0000000000000193] ]. This is important as such patients have been shown to have a higher level of impaired mental status, co-morbidity (including respiratory, renal, endocrine and malignant pathologies) [7Johal KS, Boulton C, Moran CG. Hip fractures after falls in hospital: A retrospective observational cohort study. Injury 2009; 40(2): 201-4. [http://dx.doi.org/10.1016/j.injury.2008.06.036] [PMID: 19100542] , 13Foss NB, Palm H, Kehlet H. In-hospital hip fractures: Prevalence, risk factors and outcome. Age Ageing 2005; 34(6): 642-5. [http://dx.doi.org/10.1093/ageing/afi198] [PMID: 16267194] ], and risk of postoperative mortality of 35.7 - 50% within 1 year compared to 21.5 – 31.2% those falling in the community [6Green CM, Zeiton M, Foulkes K, Barrie J. The inpatient fracture neck of femur: An important subgroup of patients. Injury 2014; 45(12): 1946-9. [http://dx.doi.org/10.1016/j.injury.2014.09.022] [PMID: 25458059] -8Mohamed M, Patel D, Zhao S, Ballal MS, Scott S. Increased mortality amongst inpatients sustaining neck of femur fractures as in-patients in a Trauma centre. Open Orthop J 2015; 9(9): 412-7. [http://dx.doi.org/10.2174/1874325001509010412] [PMID: 26401165] ]. Compensation has also been paid to patients following an inpatient fall resulting in FNOF [14Simpson millar solicitors. £12,000 compensation awarded in hospital fall Available from: www.simpsonmillar.co.uk/news/12000-compensation-awarded-in-hospital-fall-1691, 15Hudgell Solicitors. £17000 compensation secured for hospital patient after broken hip was missed by doctors Available from: www.hudgellsolicitors.co.uk/case-stories/medical-negligence/17000-compensation-secured-for-hospital-patient-after-broken-hip-was-missed-by-doctors] hence this is becoming increasingly important from a medicolegal perspective. Falls prevention and optimising medical care of vulnerable patients is therefore a key step in this process. Patients who fracture their neck of the femur as an inpatient have commonly fallen at least once prior to their injury [12Green CM, Zeiton M, Foulkes K, Barrie J. The inpatient fracture neck of femur: Severe injuries which need to be taken seriously. J Patient Saf 2015. [http://dx.doi.org/10.1097/PTS.0000000000000193] ], hence active fall prevention strategies are required as these have been shown to reduce the incidence of falls [16Stenvall M, Olofsson B, Lundström M, et al. A multidisciplinary, multifactorial intervention program reduces postoperative falls and injuries after femoral neck fracture. Osteoporos Int 2007; 18(2): 167-75. [http://dx.doi.org/10.1007/s00198-006-0226-7] [PMID: 17061151] ]. Recommendations following the National Falls Audit in 2015 state that all patients over 65 years of age (or over 50 with a condition affecting their mobility) should be considered as a falls risk as opposed to conducting falls scores [1Falls and Fragility Fracture Audit Programme (FFFAP) National Audit of Inpatient Falls 2015 2015. Available from: https://www.rcplondon.ac.uk/projects/outputs/naif-audit-report-2015 Last Accessed 18th November 2017]. Post-falls care is also vitally important. Pathways for patients following a fall may vary between hospital trusts but all should include an assessment for head injury or fracture, safe manual handling of patients with a suspected injury, and easy access to post-fall protocols, specialist equipment, and relevant investigations and treatment. Should a patient suffer a fall, an immediate assessment by ward staff is required in order to identify any injuries to the patient’s head, spine or extremities. If there is any suspicion of a significant lower limb fracture, patients should be transferred to bed using a spinal board, “scoop” or similar device [12Green CM, Zeiton M, Foulkes K, Barrie J. The inpatient fracture neck of femur: Severe injuries which need to be taken seriously. J Patient Saf 2015. [http://dx.doi.org/10.1097/PTS.0000000000000193] ] and be promptly examined by a medical practitioner. Examination of a patient with a suspected FNOF should be performed in the same manner within a ward setting as it would be in an emergency department. Examination of the hip should be done in a step-wise manner and starts with assessing patient leg lengths; a displaced FNOF shows a shortened, externally rotated lower limb (Fig. 1 ). A displaced FNOF shows a shortened, externally rotated lower limb. If the leg adopts a normal position when supine, perform a gentle “pin-rolling” of the affected leg to assess for pain (Fig. 2 ). “Pin-rolling” of the affected leg to assess for pain. If the patient does not complain of pain, ask the patient to lift their leg off the bed as failure to do so may indicate a hip fracture (Fig. 3 ). Assess patient's ability to perform a straight leg raise test. Finally, if this can be done, assess their range of motion in flexion, abduction, and internal and external rotation of the hip (Fig. 4 ). If at any stage the patient complains of pain within the hip and groin during these steps, stop the examination and obtain urgent Xrays (AP Pelvis and Lateral Hip) to assess for fracture. If no fracture can be identified but the patient remains symptomatic, further imaging will be required by MRI scan within 24 hours of injury, or CT scan if MRI is contraindicated or unavailable [10British Orthopaedic Association. Standards for Trauma: Patients sustaining a fragility hip fracture (BOAST 1, version 2) 2012. Available from: https://www.boa.ac.uk/wp-content/uploads/2014/12/BOAST-1.pdf]. If a fracture is confirmed, early operative intervention is required as it is well established that mortality among all groups of patients suffering an FNOF improves with early intervention [17Bottle A, Aylin P. Mortality associated with delay in operation after hip fracture: Observational study. BMJ 2006; 332(7547): 947-51. [http://dx.doi.org/10.1136/bmj.38790.468519.55] [PMID: 16554334] -19Nyholm AM, Gromov K, Palm H, Brix M, Kallemose T, Troelsen A. Time to surgery is associated with thirty-day and ninety-day mortality after proximal femoral fracture: A retrospective observational study on prospectively collected data from the danish Fracture database collaborators. J Bone Joint Surg Am 2015; 97(16): 1333-9. [http://dx.doi.org/10.2106/JBJS.O.00029] [PMID: 26290084] ]. Urgent pre-operative transfer to an orthopaedic ward is therefore advised unless this would be detrimental to the patient from a medical perspective (e.g. they are on a specialist ward for their presenting complaint). Delays in operative management have also been shown to lead to an increased risk of deep vein thrombosis [20Smith EB, Parvizi J, Purtill JJ. Delayed surgery for patients with femur and hip fractures-risk of deep venous thrombosis. J Trauma 2011; 70(6): E113-6. [http://dx.doi.org/10.1097/TA.0b013e31821b8768] [PMID: 21817966] ]. An early assessment by a specialist Orthogeriatrician, focussing on optimising medical issues which would otherwise delay operative management, is therefore essential as this has been demonstrated to improve patient outcome [21Gosch M, Hoffmann-Weltin Y, Roth T, Blauth M, Nicholas JA, Kammerlander C. Orthogeriatric co-management improves the outcome of long-term care residents with fragility fractures. Arch Orthop Trauma Surg 2016; 136(10): 1403-9. [http://dx.doi.org/10.1007/s00402-016-2543-4] [PMID: 27501701] , 22Kristensen PK, Thillemann TM, Søballe K, Johnsen SP. Can improved quality of care explain the success of orthogeriatric units? A population-based cohort study. Age Ageing 2016; 45(1): 66-71. [http://dx.doi.org/10.1093/ageing/afv155] [PMID: 26582757] ]. As a result of their co-morbidities, inpatients suffering hip fractures are more likely to have their procedures postponed due to medical issues, or have a significant delay in their diagnosis either due to imaging not being performed in a timely fashion or because further imaging is required [6Green CM, Zeiton M, Foulkes K, Barrie J. The inpatient fracture neck of femur: An important subgroup of patients. Injury 2014; 45(12): 1946-9. 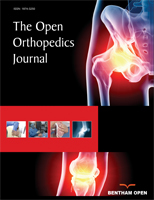 [http://dx.doi.org/10.1016/j.injury.2014.09.022] [PMID: 25458059] , 13Foss NB, Palm H, Kehlet H. In-hospital hip fractures: Prevalence, risk factors and outcome. Age Ageing 2005; 34(6): 642-5. [http://dx.doi.org/10.1093/ageing/afi198] [PMID: 16267194] ]. In order to gain a full picture as to how this injury impacts on inpatients, further measures should be taken. The time of injury (i.e. the exact time of falling) should be used as the start time for the 36-hour time limit for operative intervention and all examinations and investigations for these patients in order to prepare them for operative intervention must be treated as a priority. An incident report should be completed and all confirmed FNOF injuries are to be rated as “severe” according to guidance from the National Patient Safety Agency as this is a life-changing or even a life-threatening injury [3National Patient Safety Agency. Slips, trips and falls in hospitals 2007. Available from: www.npsa.nhs.uk]. A Root Cause Analysis (RCA) should be performed and disseminated within the involved ward and department in order to learn lessons from the incident in an effort to reduce the likelihood of other patients suffering a similar injury [12Green CM, Zeiton M, Foulkes K, Barrie J. The inpatient fracture neck of femur: Severe injuries which need to be taken seriously. J Patient Saf 2015. [http://dx.doi.org/10.1097/PTS.0000000000000193] ]. Although NICE guidance did not specifically include the inpatient fracture as a separate issue when updated in 2017, the latest update in the NHFD did include a recommendation that hospital managers and clinicians examine how ward environments and staffing contribute towards inpatient falls and take steps to minimise risk [5National Hip Fracture Database Report 2017. Available from: https://nhfd.co.uk/files/2017ReportFiles/NHFD-AnnualReport2017.pdf, 11NICE Guidelines for the Care of Fracture Neck of Femur (CG124) National Institute of Clinical Excellence, 2011 (Updated April 2017) 2011. Available from: https://www.nice.org.uk/guidance/cg124]. The authors of this article therefore request that nationally agreed guidance is created for patients suffering an “inpatient” fracture neck of the femur with a view to be included in the next updated version of NICE guidance. Exact protocols for falls prevention and post-fall care may vary between hospital trusts in the NHS due to the variability of regional parameters, resources, and patient demographics. However, key themes should be agreed. In summary, the authors would suggest using the time of injury as the starting point for all patients with a suspected inpatient FNOF, that patients are treated as a priority and transferred to an orthopaedic trauma ward if medically fit to do so. Management of their injury should then follow NICE guidelines and the BPT, with the aim to intervene surgically within 36 hours of the injury. All confirmed FNOF injuries should be treated as a “severe” injury on incident reporting and a full root cause analysis should be performed in order to minimise the risk of future inpatient injury, especially due to medicolegal issues surrounding this type of injury highlighted within this report. Finally, outcome measures of inpatient FNOF injuries should be assessed separately to community FNOF injuries due to the knowledge of an inferior outcome within this group of patients. Patient written consent has been provided and available on request.